Right in time for the reissuing of the entire back catalogue (completely re-mastering that took about 4yrs) of Beatles music, the folks at Harmonix are set to release (Sept 9) their latest iteration of the popular music game series The Beatles Rockband. Yours truly had the opportunity to get some hands on time this past weekend. The gameplay hasn’t changed if you’re familiar with the series but it does give the inclusion of being able to have backup singers. Some games actually have the ability to accept 2 or more singers for some parts. 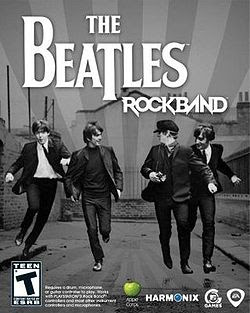 The basic premise of the game puts you in the Fab Four’s shoes as they rise to stardom from their early days playing at Liverpool Cavern Club, to the Ed Sullivan show, to their impromptu Rooftop concert. Harmonix painstakingly referenced photos and videos from Apple corps and it shows in the art direction and presentation they took. This game is truly beautiful and it was easy to get distracted by the visuals in the background. The song selection that Harmonix used is awesome. Out of all the songs i managed to get through, there was only 1 or 2 that I wasn’t particularly fussy over. Further to that, expect more DLC to be available right from the get go with the remaining songs from Sgt. Peppers Lonely Hearts Club Band, Abbey Road and Rubber Soul. What this games does besides provide some incredible music, it gives you the ability to live the music alongside the band and a damn fine party game.